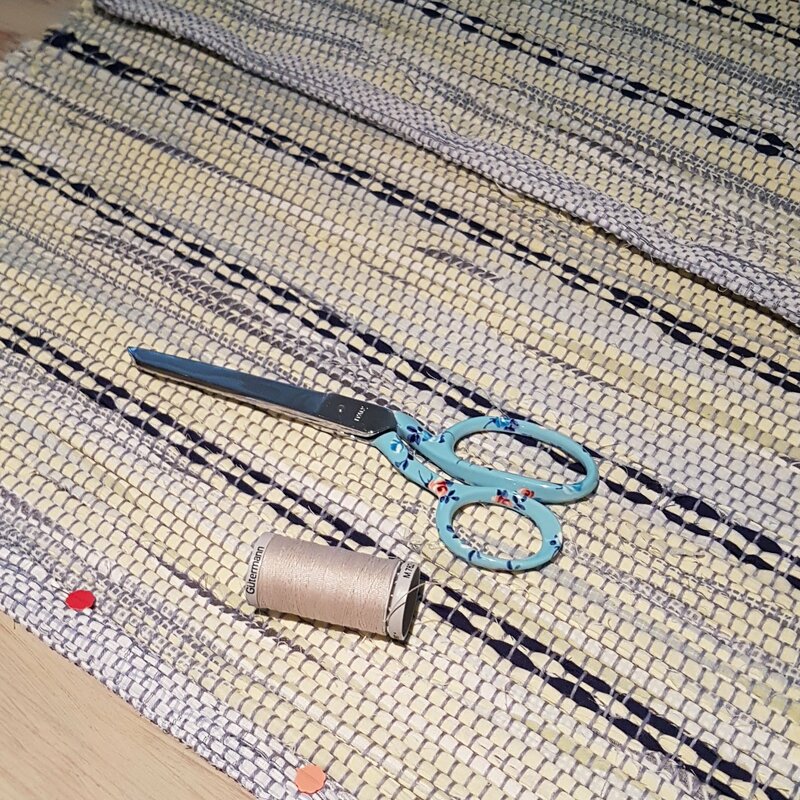 A friend in my neighborhood was keen to try her hand at weaving and I was keen to try my hand at teaching. Perfect! 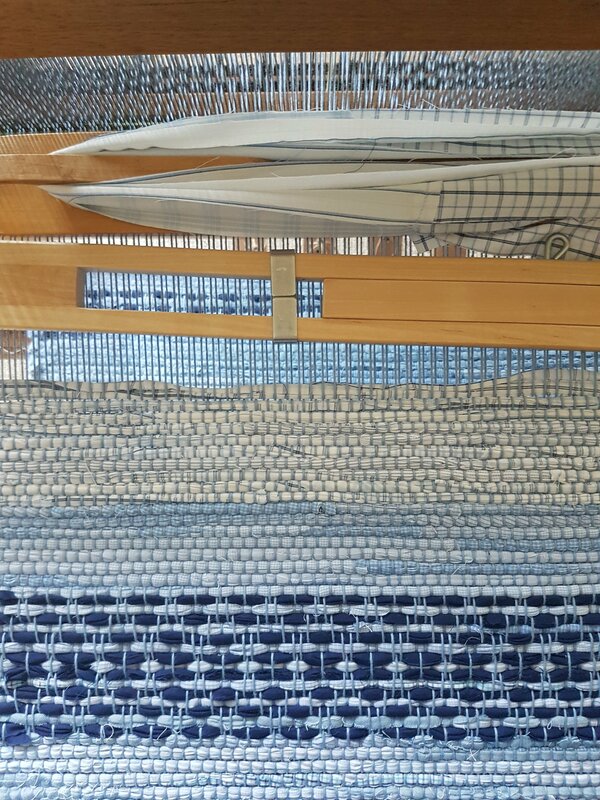 The picture above shows the loom set up for her to start her project, a wrap or scarf. It was made with a lovely soft mohair wool blend doubled as weft and Bendigo three ply as warp. 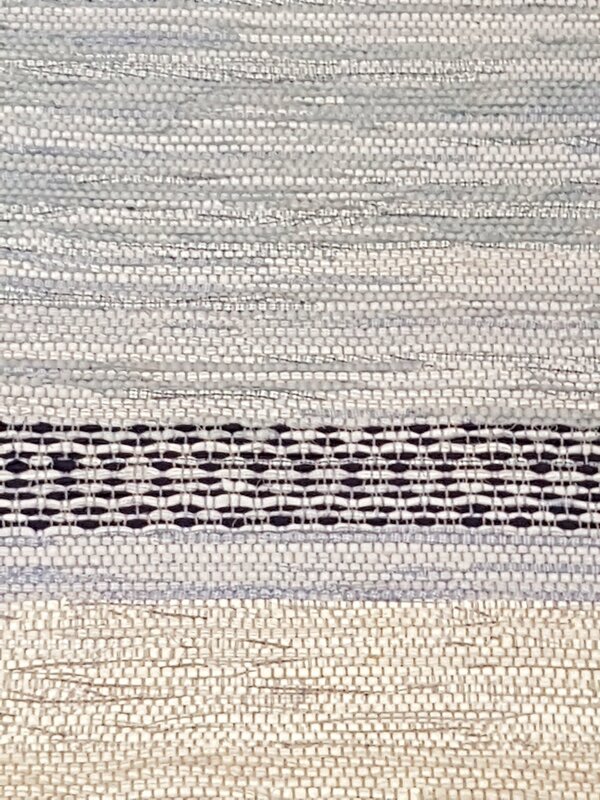 As I like to do for low stress weaving, I threaded dark grey on shafts 1 and 3 and java on shafts 2 and 4. The sett was 10 dpi. We only had two 50g balls of weft yarn and when it ran out, that was the end of the project. My friend is thrilled with what she achieved, as she should be. This year I again took a week out to focus on a new structure under the expert tuition of Kay Faulkner. This time the structure was doubleweave, something I had long wanted to try, entranced as I was by the marvelous deflected doubleweave items I had seen online. Accommodation in the Birkdale area is a mild problem in that almost all options require you to have a car to get to class. This year I shared accommodation with Barbara, a fellow linen and lace graduate who lives in Queensland. We were able to spend time discussing all elements of weaving, day and night and enjoyed sampling the many restaurants in the area, with Barbara very capably driving us everywhere we needed to go. I know she reads this blog so thanks Barb! I enjoy the intensity of a week long class structure and the ability to move from loom to loom to try different applications. This time was easier for me as I had with some familiarity with both Kay’s looms and her teaching style. The winner project was window panes, which still seem like complete magic, even now I know how they come together. The editor of the Victorian Handweavers and Spinners Guild newsletter declined my offer to write an article about my experience of the linen and lace class I attended at Kay’s studio last year, on the grounds that it might be seen as promoting a competitive source of weaving education. Dear readers, may I say that I thoroughly recommend that you attend one of Kay’s classes if you are able to get to Birkdale (in the Brisbane area) and can afford the time and the (very reasonable) class fees. I do not feel at all disloyal to the Guild in making this recommendation. All I can report on this experiment is that the avocado skins and stones failed to colour my clean, undyed wool. We had fun, had a good chat and had lunch. We tried reheating and adding vinegar. Good thing my friend had brought her commercial dyes from Ashford. The shrinkage was massive after all those interventions.